A Moscow court declined to hear an appeal Tuesday of a 10-day jail sentence handed to prominent opposition leader Sergei Udaltsov, who has been hospitalized due to complications stemming from a series of hunger strikes. Judge Alexei Krivoruchko instead postponed the hearing until Jan. 7, when Russia celebrates Orthodox Christmas, citing the defendant's absence in the courtroom as grounds for his decision. The judge was handed a doctor's note saying Udaltsov was in a hospital Tuesday and couldn't be present in court due to the "diagnosis of a gastric ulcer." Udaltsov's lawyers said their client did not mind the appeal being considered without him there. 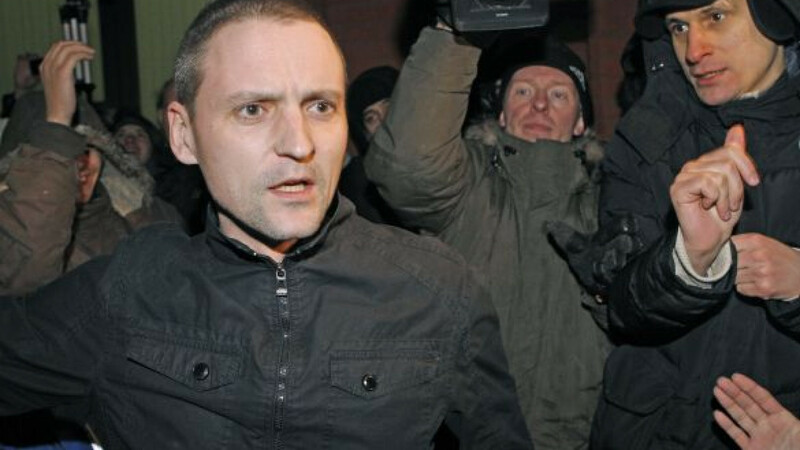 On Sunday, Udaltsov was sentenced to a 10-day jail term for resisting police in November, shortly after being released from another arrest. He was taken to a hospital soon after sentencing and will remain there until Jan. 6, the judge said, according to Interfax. If the court upholds his sentence on Jan. 7, Udaltsov will go to jail that day. Tuesday's hearing was held behind closed doors with only a few reporters allowed inside, while dozens of his supporters were kept outside the court building, Gazeta.ru reported. The hearing only lasted about three minutes, the report said. Udaltsov's health has worsened after a series of recent hunger strikes he has held in protest of his numerous arrests at demonstrations. He was issued 14 arrest warrants this year.